After a 43-year run, the legendary Uptown dive Carol's Pub closed in 2016 due to tax issues and a revoked liquor license. Earlier this year we got the lovely news that a new owner is working on opening it again, hopefully sometime during the fall. 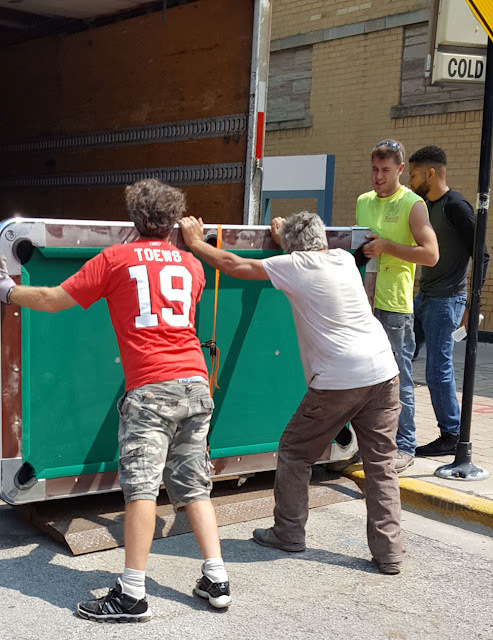 Today reader/photographer Bill Biederman was on the scene as the pool table from Carol's was removed from the premises at 4659 North Clark, as were the electronic dart boards. The new owner, Ed Warm, who also owns Joe's On Weed Street, has promised to keep the ambiance of the original Carol's alive, along with some civilizing touches like no more crack-of-dawn opening hours and the installation of outdoor security cameras. 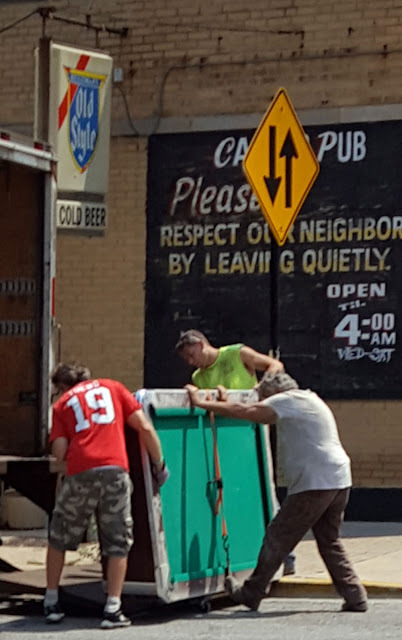 There is no opening date yet, since the labyrinth of licensing has to be navigated, but one good omen is that, as of a couple weeks ago, Carol's was seeking to employ an experienced bar manager. What's wrong with crack-of-dawn opening hours? Unless he brings back hillbillies leaning out the windows screaming & hollering, I ain't interested.